Made with USA tubing. 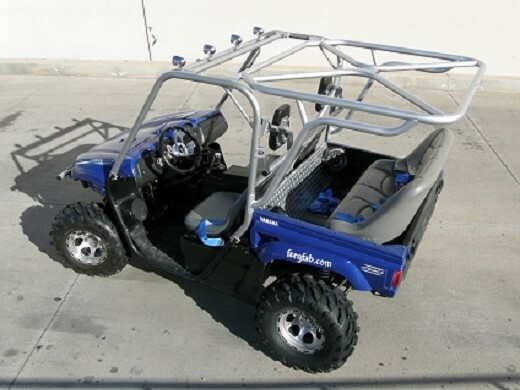 1 3/4 x .095 main structure; 1 1/2 x .095 roof diagonals; 1 1/4 x .095 gussets – thicker and stronger than the factory tubing. Direct bolt on to factory cage. Guaranteed to fit. 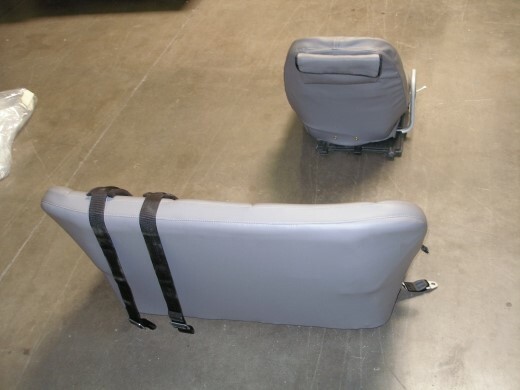 Allows bed to tilt for maintenance and service without removing cage. In other words, there is no need to remove your cage to check a spark plug. 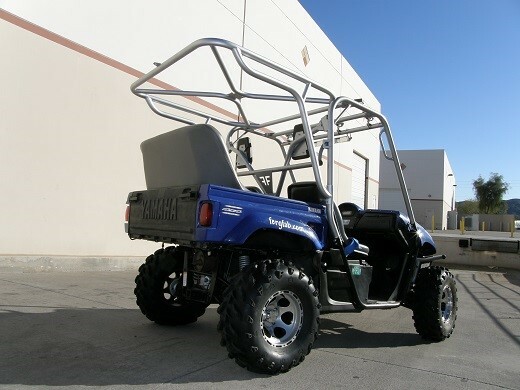 Thru-bolt and clamshell design distributes load over greater surface area. Bolts act as dowels to prevent cage movement. Our canvas tops are made with Sunbrella canvas and are sewn from proven patterns. We use a premium front zipper and attach the sides and rear with Velcro. Canvas tops are available in any Sunbrella canvas and trim colors. Click here for Sunbrella color chart. Stripes also available for an additional $60. 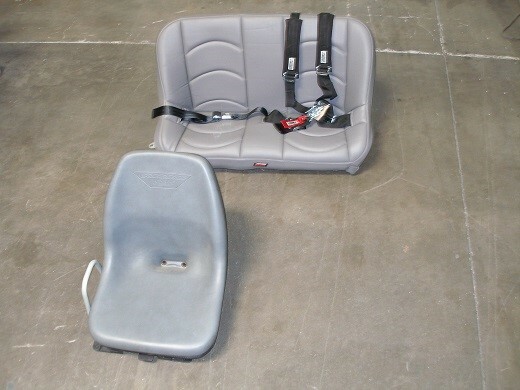 Your kit comes with seat, seat frame and two automotive lap belts. 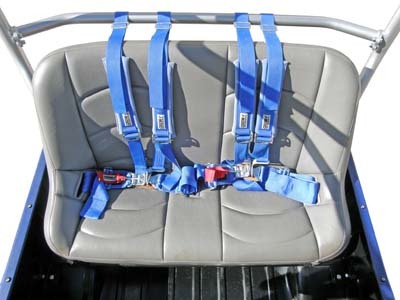 Crow belt upgrade available- see seat belt products page.